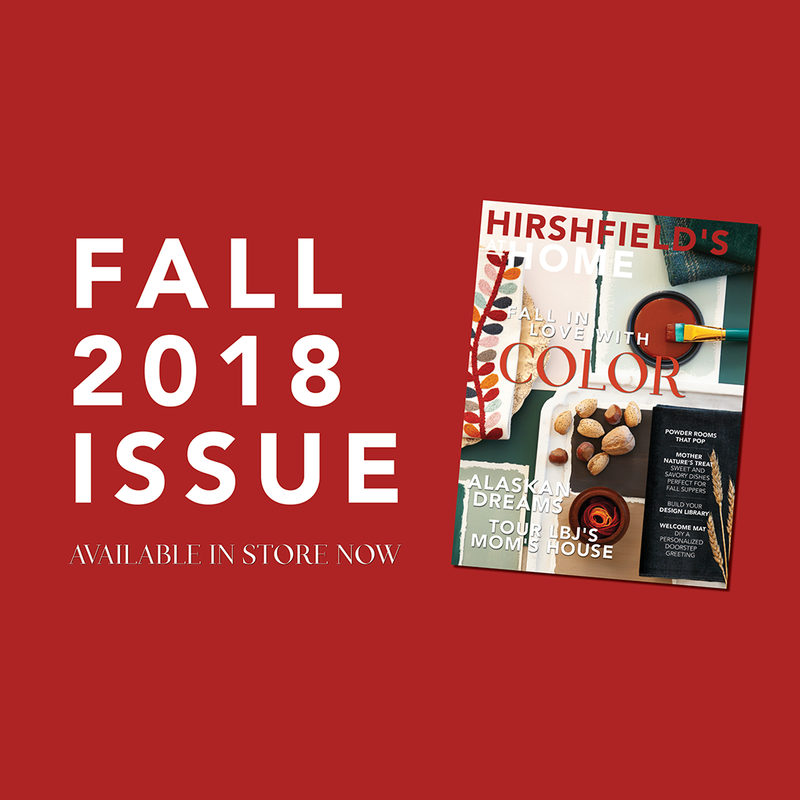 If you haven’t already picked up your fall issue of Hirshfield’s At Home lifestyle magazine, at one of our stores, you can view it online right here! If you’re a fan of magazines I’d recommend picking up a copy — the cover is printed on thick stock and filled with awesome photos and excellent articles. Hirshfield’s 2019 Color Forecast welcomes you to the magazine! Homes of four families and how they created their spaces to merge with their lifestyles (The Forever Home family is from the Twin Cities). Powder Rooms—an inspiring piece on using paint, pattern, and prints. Recipes, travel, and DIY round out the magazine.